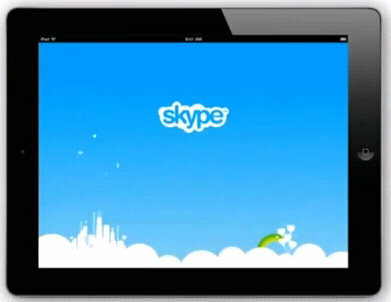 Rumors are out that the official Skype iPad app will be released as early as next week. Although I know for a fact that Skype works just fine on the iPad with the current app, an iPad only app would be much more user friendly – at least that’s what it looks in the leaked Skype for iPad video below. What’s cool about the Skype iPad app is that it will work over both WiFi and 3G, and it will support full screen video calls. Some other rumored features are an option to swap cameras in the middle of a chat, as well as built in messaging that layers over video calls. Needless to say, the Skype iPad app is heavy on video conferencing calls. Now to the good stuff – the leaked video that Skype posted on YouTube to promote their iPad app. Skype, for some reason, removed the video within just a few hours. Thanks to Razorian Fly, the video was able to be retrieved (without audio) – and there’s no guarantee it will stay available on YouTube.